Fill out the correct quote below dependent on the type of Twin Wall system you wish to install. 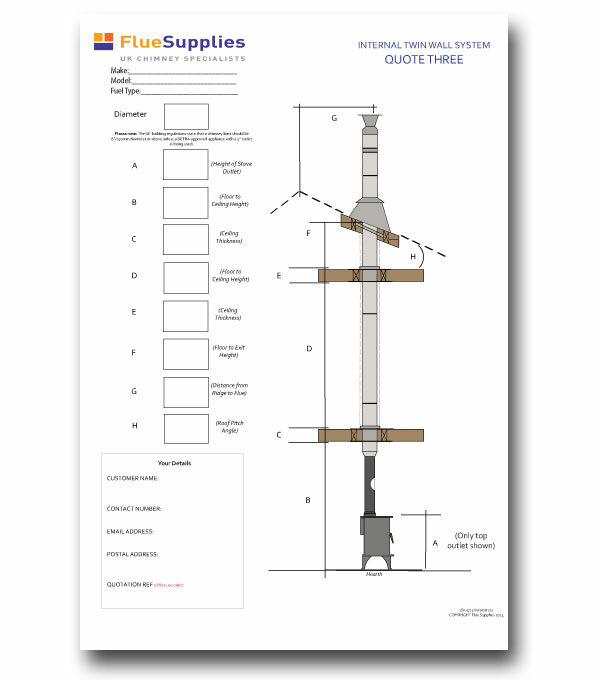 When you have filled in the quotation form we will be emailed the dimensions and your contact details directly to our Technical team at technical@fluesupplies.com. 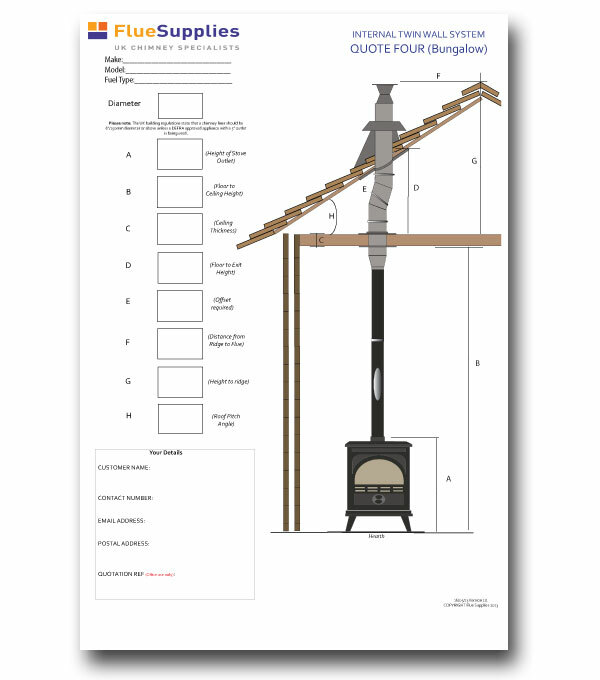 From the information you have provided, they will work out the components you may need and contact you with a quotation. 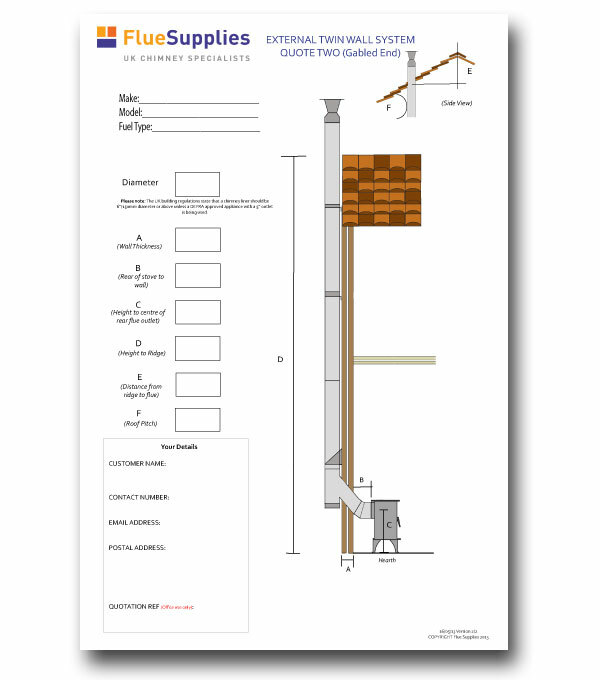 External Twin Wall System for a Gable-Ended building. Please Note: Flue Supplies does not know the exact situation or circumstances of your home and/or quality of the products already in place. 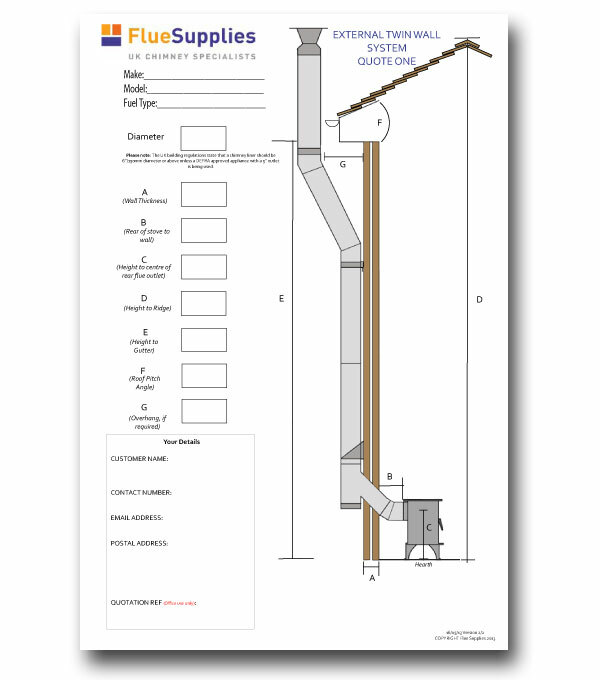 Although the advice and the quotation provided will be based on the details submitted by you, any person who relies upon any advice provided by Flue Supplies given by email, phone or which is contained in any of the Flue Supplies website, does so at their own risk. Flue Supplies therefore accepts no duty or liability whatsoever, other than a duty to act honesty in good faith.